In week #24 (March 18-24) of its year-long Facebook promotion, Free Cases Daily, Tablet2Cases will award yet another seven cases – one each day of the week – absolutely free to seven lucky participants. 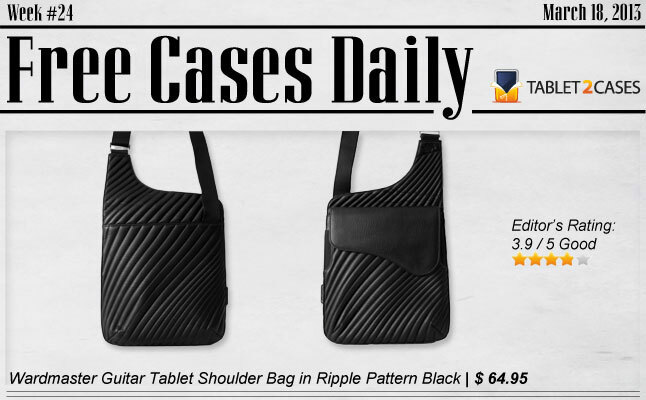 This week, winners may choose from among a selection including cases exclusively for Apple iPads, the Google Nexus 7 and the Samsung Galaxy Tab among universal styles suitable for virtually any size of device. Scroll down for our exclusive selection of Free Cases Daily for this week. Following descriptions of the seven free prizes are the super-easy rules for entry. 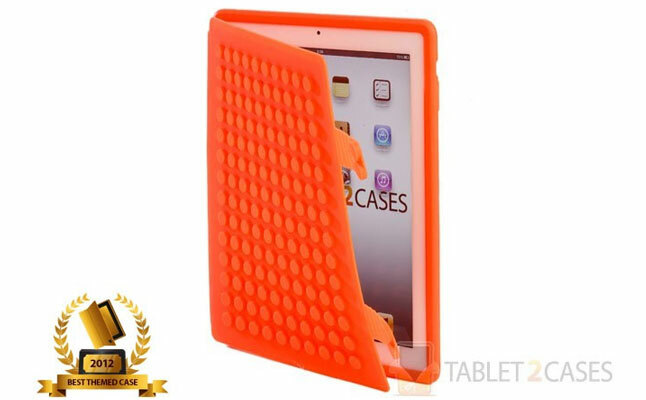 Win yourself a best case scenario for your tablet this week from Tablet2Cases! Polyurethane exterior plus velveteen-lined interior all done up in a classic shape: That’s the Wardmaster Guitar tablet shoulder bag. Designed for easy (and stylish) carrying, this shoulder bag is also nicely protective against all but seriously extreme shocks and impacts. So it isn’t exactly trademarked, but the Cooper Blocks silicone folio tablet case will be instantly recognizable and appealing to Lego lovers. And this folio is protective as well as fun: The rubber-like silicon and studded peg design provides rugged defense against most drops. 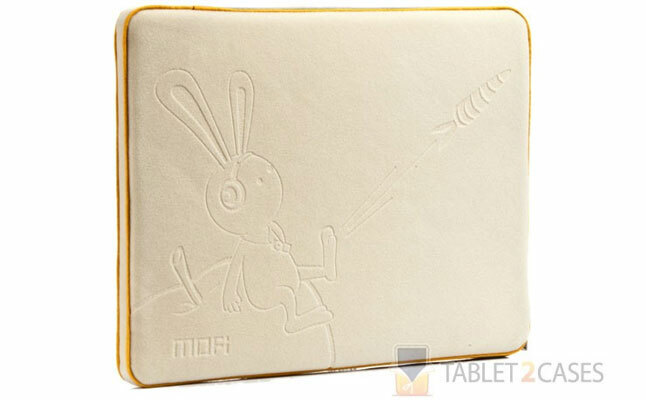 Emblazoned on this Cooper X zippered tablet sleeve is a cartoon rabbit imploring the hip folks to kick the carrot and get on the Apple. Once you’ve done that, you can encase that iPad (or any iPad-sized tablet, really) in this nice foam-padded, soft-feeling sleeve with confidence for carrying. 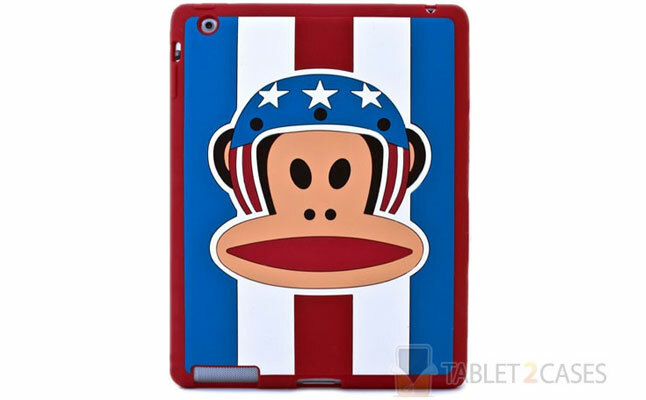 Julius the Monkey is ready for more tablet owners to join the cult following of Paul Frank’s designs: Here, he emblazons a flexible silicon shell tablet back protector which features good defense against everyday incidents, precise cutouts for the iPad 2 and extra grippability. 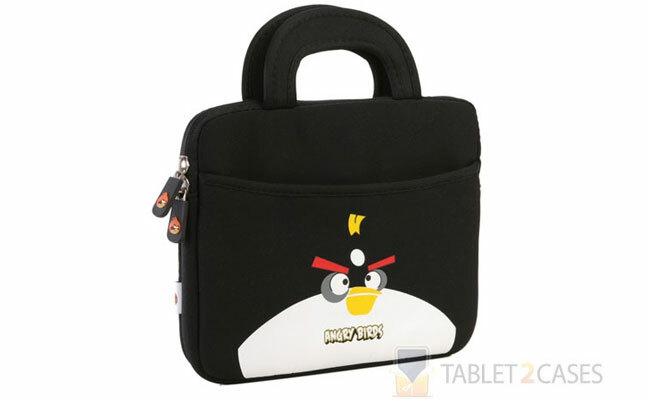 This cost-efficient, functional and well-built case may be launched at several angles in order to free your comrades from those dastardly pigs and ... no, wait, that’s the description of the Angry Birds characters featured on this tablet sleeve. 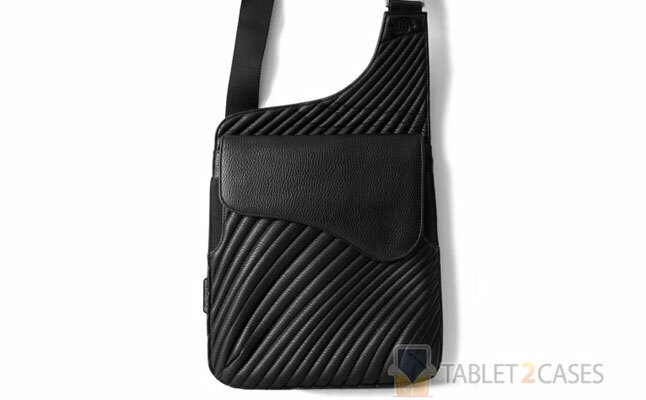 The description of the tablet sleeve itself instead would touch upon the neoprene exterior and furry cotton interior lining with dual zipper lock . An interesting accessory built specially for the Samsung Galaxy Tab, the Cooper Gradus boasts a full-on 360-degree rotating tablet stand . Naturally, the viewing and display possibilities are endless, while the polycarbonate backer and faux-leather cover provide good full-body protection against basic wear and tear. Wow – it’s amazing how appealing those polka dots can be. 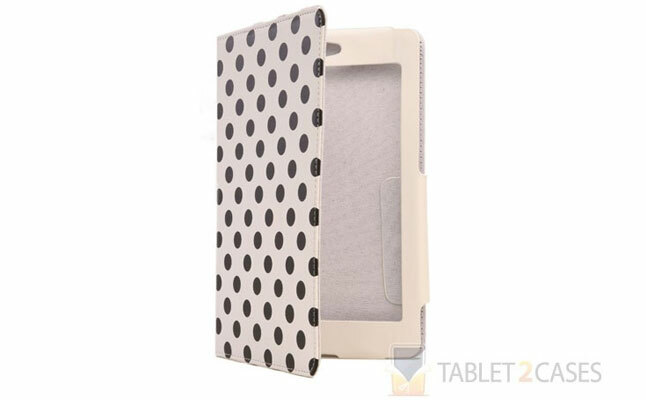 The Cooper Smile folio’s eye-catching pattern of black dots on white background belies a nicely functional case specific for the Google Nexus 7. 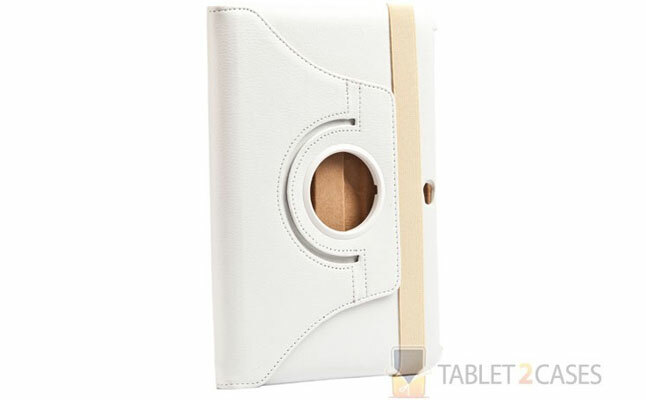 The three viewing angles possible thanks to the embedded stand are big pluses as well. And that’s all there is to it. Good luck from Tablet2Cases to all participants in our Free Cases Daily promotion – may you win your best case scenario this week!